How to Dress Like A Hippie? Simply Be Yourself! So you want to know how to dress like a hippie? As far as we are concerned, boho hippie style will always be in fashion. And we have a little secret for you – there is no one way to dress like a hippy. Flare pants? Sure. Low rise pants? Sure. Skinny pants? Sure. Patchwork Pants? Of Course. No pants, hmmm, well you get the gist. 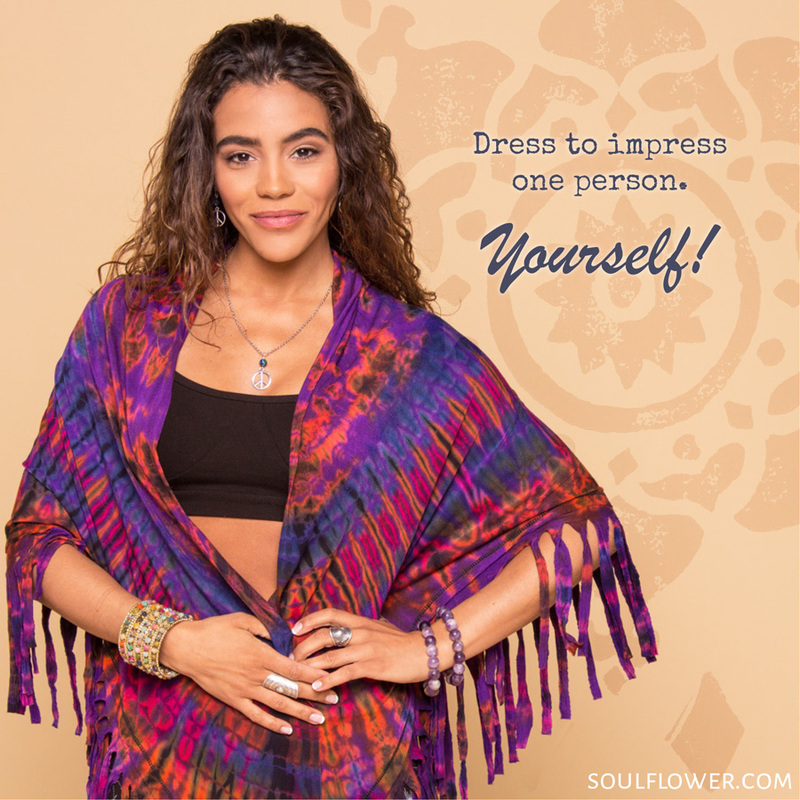 The best advise we can give on how to wear cool, free-flowing hippie clothing is to just be you – if you feel good about yourself, we promise… you will look good. Simply be yourself and feel good knowing that your own special, hippie boho style belongs to just one person in this world – YOU! Dress to impress one person. Yourself! Which clothes are best for my body? Anything you want to wear. The Best Way to Wear a Tank? Put it on and go have fun! 3 awesome ways to wear leggings? 1-to yoga, 2-to dance, 3-to hoop. The best skirt for your body? A hippie skirt! The best shoes for any outfit? NONE, go barefoot! 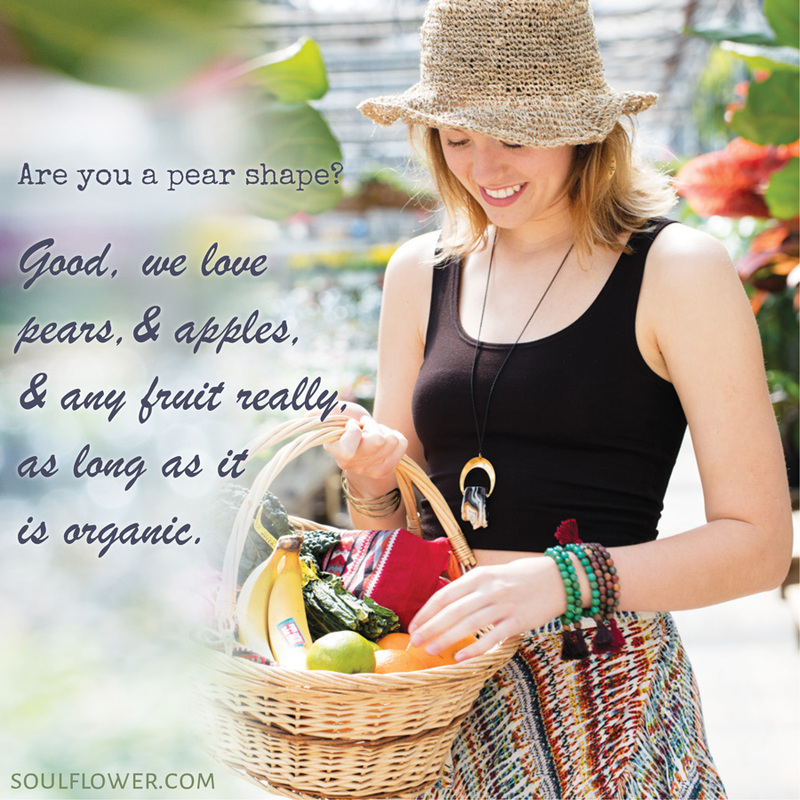 Are you a pear shape? Good, we love pears, and apples, and any fruit really, as long as it is organic. We don’t always wear bras, but when we do we choose organic bralettes. How To Dress Like a Hippie: Dress to Impress One Person. YOURSELF! 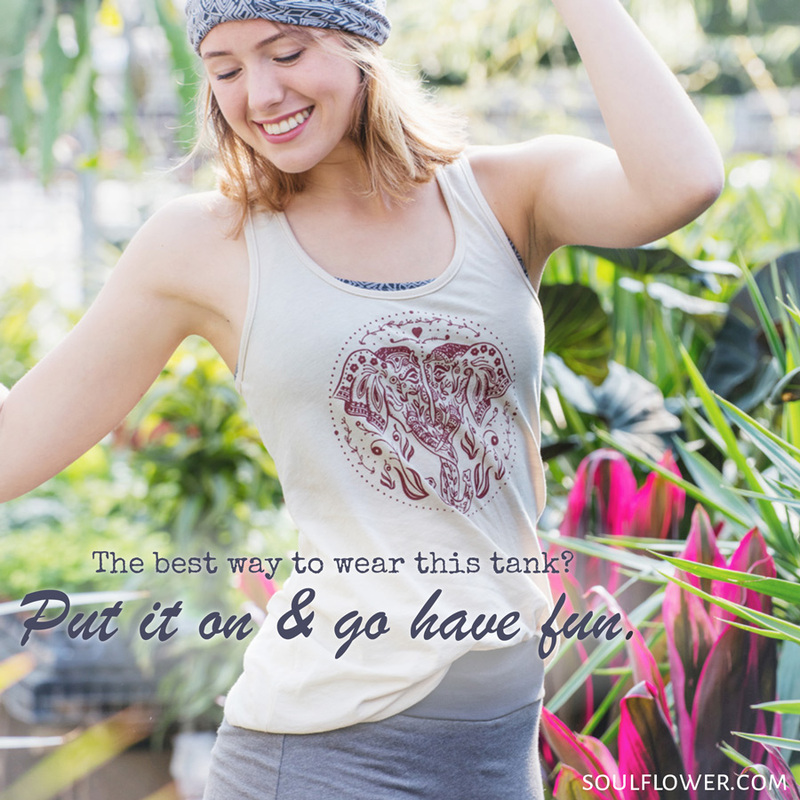 How To Dress Like a Hippie: Focus On Fun! How To Dress Like a Hippie: Yoga, Dance & Hoop! How to Dress Like a Hippie: Wear a Hippie Skirt! How To Dress Like a Hippie: Go Barefoot! 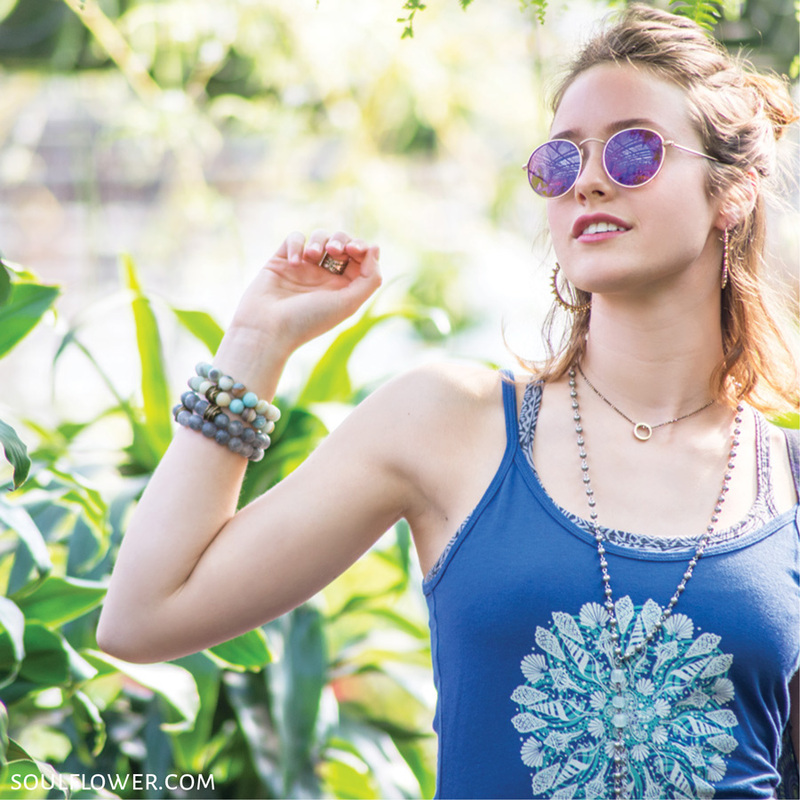 How To Dress Like a Hippie: Embrace Your Body! 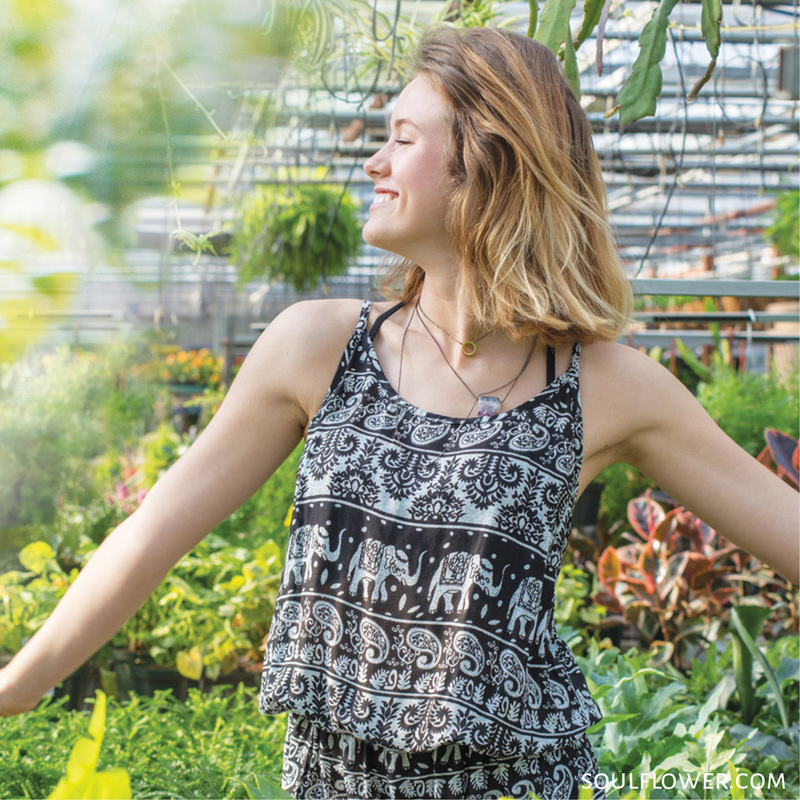 How To Dress Like a Hippie: Choose Organic! Q: How to Dress Like a Hippie? A: Just be yourself! 1 Comment on How to Dress Like A Hippie? Simply Be Yourself!